The Occupational Health and Safety Administration, also known as OSHA, is a government body that sets and enforce standards in United States’ workplaces. As an employer, it is important to know OSHA’s priority is for workplace safety and not to issue fines and citations for businesses. Virtually every employee working in the country is “protected” by OSHA. This means workers can anonymously file complaints, request inspections, and are guaranteed the right to safe workplace. OSHA can mean different things for both the employer and the employee, but their goal for each is to create a cultivate safety on the job, while reducing injuries and deaths in the workplace. Business owners, facility managers, and safety managers seldom look forward to the day of an OSHA inspection. Inspections are the time OSHA can visit a workplace and assess violations and enforce their regulations. These inspections are conducted by a Compliance Safety & Health Officer under either a scheduled visit or surprise visit. Often times OSHA carries out inspections for businesses in industries prone to injuries and accidents, including construction, manufacturing, maritime, and more. OSHA will also conduct inspections on workplaces notorious for racking up fines or are constantly putting their workers at risk. On the other hand, OSHA can make surprise visits if they’re tipped off to ignored hazards or an unhappy employee reports unsafe practices. If you’re looking for a way to keep your employees educated on their rights under the administration, or to learn more about the administration for yourself, consider holding an OSHA 30-hour or 10-hour training session. At the end of the session, workers will receive an OSHA card that will certify their completion that will be good for five years. There are several different training programs for both specific industries like construction or maritime, or a more general program. The 10-hour classes are designed primarily for employees and frontline workers across different industries. For instance, if a construction worker takes a 10-hour class on the construction industry, the individual will learn about hazards and risks related to construction, personal protective equipment used in construction, etc. The 30-hour training session is designed to take a deeper look at industry-specific hazards and are aimed at managers, supervisors, and individuals who want to become supervisors. It’s in this session people will learn the root cause of many job hazards and how to address them. In both courses there is an emphasis on hazard identification and an introduction to the general scope OSHA and its role in workplace safety. 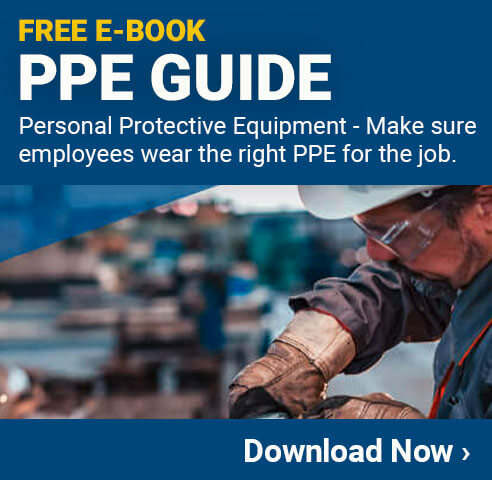 Both workers and managers will feel more confident in their safety on the jobsite, and in the face of an emergency, unexpected hazard, or other complication, they will feel confident in addressing the issue or looking to OSHA for assistance.